Cadillac has just announced that it, too, will be jumping on the Android Auto bandwagon, with all 2016 model year Cadillac vehicles that are equipped with the 8-inch CUE infotainment system being the first to get it. Cadillac has stated that Android Auto will not, however, ship immediately on these cars. Instead, they'll most likely get Auto via a dealer-installed software update, around which time Auto will also start to be phased into production vehicles. For now, Cadillac is estimating that Auto will be available around the mid-model year (think winter 2015/2016), but that's subject to change. There's no specific list of which cars will be getting a 2016 model year in Cadillac's lineup, but presumably it's going to be almost all of them. The 2016 CUE infotainment system is receiving an upgraded processor to handle Android Auto and Apple CarPlay, along with what sounds like a mild overhaul of the user experience generally. That's probably a good thing, as CUE hasn't exactly gone over well with the automotive press - hopefully this update will smooth things out. According to Cadillac, the only models that will not have Android Auto and CarPlay are the current-gen SRX, which is nearing the end of its production life, and the base trim ATS if you don't option it with the CUE system. The all-new SRX will be launched early next year, at which point it will get the Auto-enabled CUE upgrade. By then, Cadillac's whole lineup will be Auto-ready. Under the larger GM brand umbrella, Cadillac joins Chevrolet in announcing Android Auto on its 2016 vehicles, and we can probably expect yet more announcements from the other American GM brands (GMC, Buick) about Auto in the weeks and months to come. 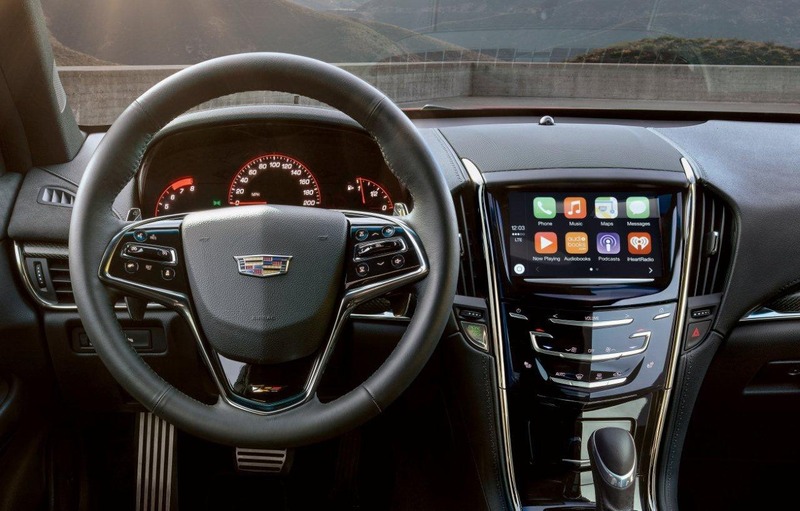 And yes, the hero image for this article does show CarPlay - Cadillac didn't have any Auto images.